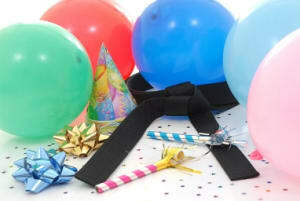 If you want to enjoy your child's Birthday Party without the stress of organising the event, and the hassle of cleaning up afterwards, then why not inquire about our activity parties based at Kernow Martial Arts. Instead of spending your child's special day cleaning and monitoring the party, you can sit back and watch the children have fun, or even have a go yourself! Or a theme of your choice! And what is even more exciting is the fact that every invite includes a FREE 2 WEEK TRIAL for any one of our Ninja Cubs or Freestyle classes. Reserve your child's special day right now! Just fill out the short form on the side of this page to get all the information you need and leave everything up to us!